Check in: 4 pm or after. Check out: 10 am or before. 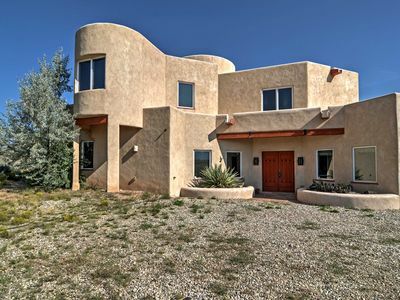 Perfectly situated next to undeveloped Pueblo land, this luxurious home gives unobstructed mountain views from every room. 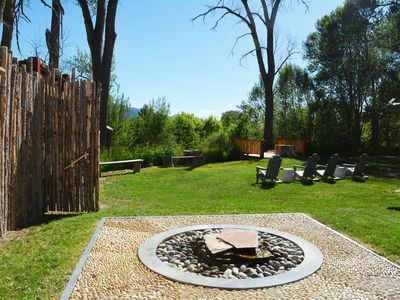 We maintain a beautiful walled-in garden which is viewed from a sheltered verandah with ample seating. 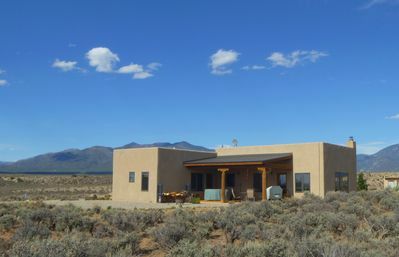 With eleven skylights and 24 windows, sunlight drenches every room. 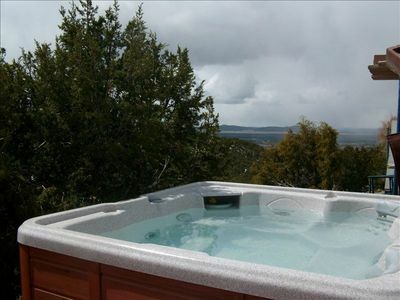 Soak in our hot tub as you watch the sunrise or the stars at night. 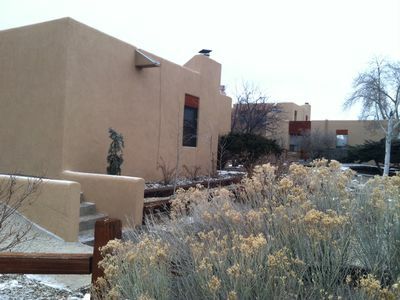 10 mins to Taos Plaza and 20 mins to Taos Ski Valley. 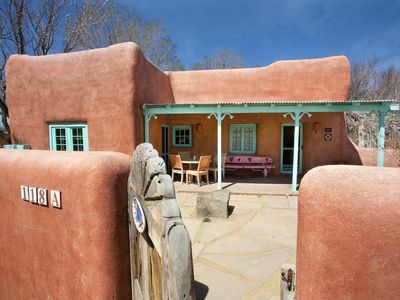 Our home has spectacular views from every room, and has a beautiful Taoseño feel with its brick and saltillo floors and adobe walls. 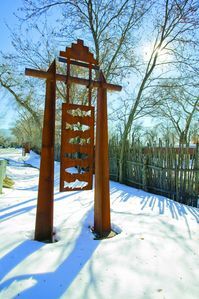 Equally convenient to the center of Taos with all its restaurants, museums and other attractions and to Arroyo Seco and the Taos Ski Valley. 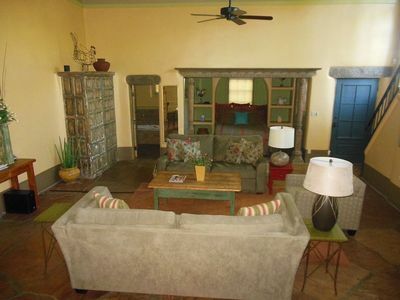 Decorated and furnished with your comfort and luxury in mind. 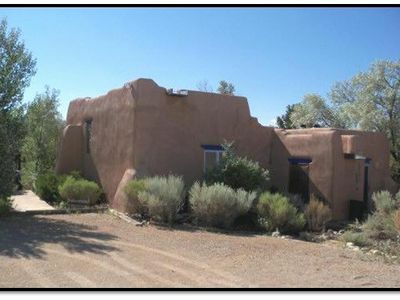 This 4-bedroom house sits on the edge of Pueblo lands and has unobstructed views and complete privacy. You could walk south for five miles before encountering anything but nature. 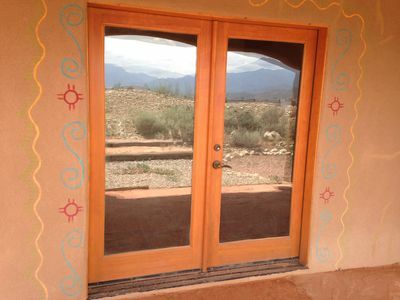 The house has radiant floor heat in all rooms and in the summers its naturally cool. Two car garage and remote garage opener for you to use. 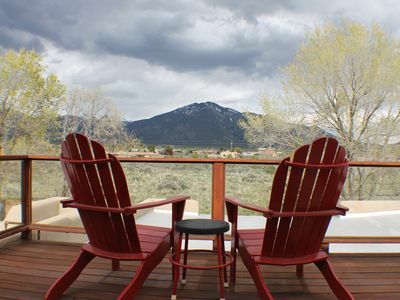 The hot tub will be 103 degrees when you arrive and sits under the open sky. 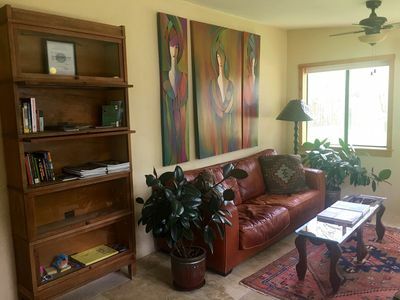 There are two working gas fireplaces one in the living room and the other in the master bedroom. 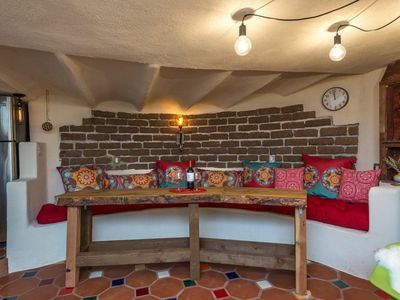 There are skylights in every room - including bathrooms. 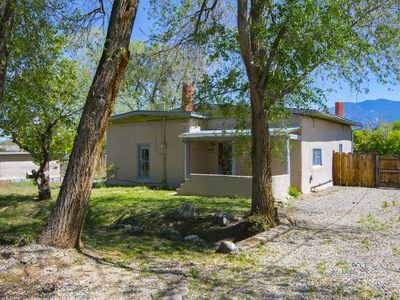 Yard is landscaped and comfortable - hammock and views under our large aspen trees. 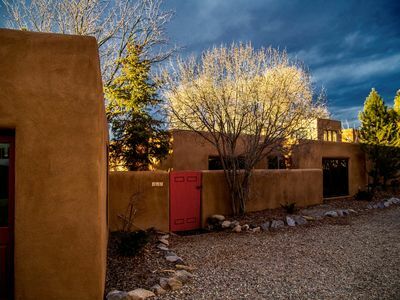 At night, Taos sparkles in the distance like a jeweled bracelet, ten miles away. 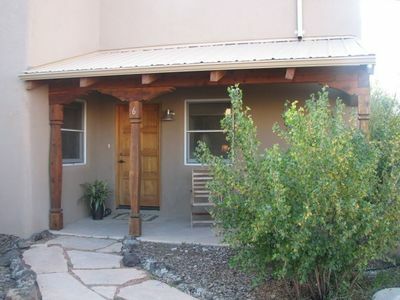 Cancellation Policy: 50% refund up until 1 week prior to arrival, except VRBO fees. 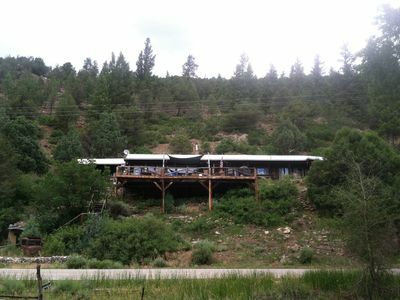 Steam Shower/Hot Tub-Fabulous Views! In/Out Fireplaces-Free Wood-180+ reviews! 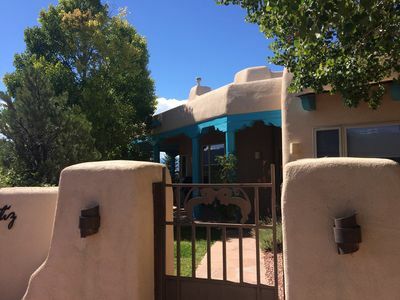 EXCELLENT REVIEWS Beautiful Casa Paloma, Plaza, Hot Tub, Ski, QUIET! Snow!! 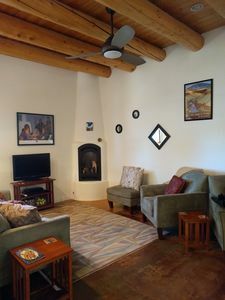 Stay in our lovely condo and enjoy Ski Valley just 20-15 minutes away! 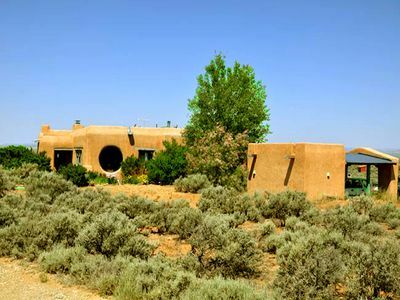 Rancho de Taos House w/ Balcony & Panoramic Views!